Episode 61 - The WGC-Mexico Championship headlines this week. Naturally the best field of 2019 to date, plays the Club de Golf Chapultepec in Mexico City. It's a fiddly course at altitude, which has quite a European feel to it, hence top-3 finishes for the likes of Cabrera-Bello, Fleetwood, Fisher, and Hatton. In 2017 and 2018 champions namely Dustin Johnson and Phil Mickelson we have top poa annua putters who have both delivered top-results at the Open Championship and in poa country - California. Steve also talks through the alternate PGA Tour event - the Puerto Rico Open - where value is hard to come by. Intro: 00:00; Listener Reviews: 01:53; Last Week De-Brief: 03:57; Mexico Championship Start: 14:04; Puerto Rico Open Start: 50:21. Episode 60 - The 2019 Masters is as highly anticipated as ever. The Golf Betting System crew can't wait for it, so we decided to have an antepost market discussion around this year's Masters tournament. Steve Bamford, Paul Williams and the returning Barry O'Hanrahan, take you through the course and it's latest changes. What skill sets does a player need to win at Augusta National? Winners in-bound form trends and correlating course form. Who do our Golf Betting System Facebook Group think will win (you can still vote within out Group) and importantly what bookmaker offers can we expect in the build-up to the 2019 Masters. 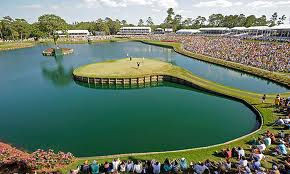 Intro: 00:00; Listener Reviews: 03:31; 2019 Masters Start: 07:40; Antepost Value Plays: 01:04:53; Our 2019 Majors Competition: 01:13:40. Episode 59 - The Genesis Open at Riviera Country Club marks the end of the PGA Tour's West Coast swing. It also sees the strongest field of 2019 to date, with defending champion Bubba Watson, Dustin Johnson, Justin Thomas, Bryson DeChambeau, Xander Schauffele, Jon Rahm, Rory McIlroy, Tony Finau, Tommy Fleetwood, Marc Leishman, Patrick Cantlay, Jordan Spieth and Tiger Woods all in Los Angeles. The European Tour stays in Australia for a second week for the ISPS Handa World Super 6 from Lake Karinnyup in Perth. It's a Keith Pelley inspired innovative format with 54 holes of strokeplay seeing the top 24 fight it out via matchplay for the title on Sunday. Intro: 00:00; Last Week De-Brief: 02:35; Genesis Open Start: 16:53; World Super 6 Start: 51:35. Episode 58 - The golfing world feels better after Rickie Fowler's win at the Waste Management Phoenix Open. Good guys can win! Now into February the PGA Tour moves to Pebble Beach for the AT&T Pebble Beach National. We return here in June for the U.S. Open and many are using this as a scouting mission. With cold and windy weather forecast, it should be an Open Championship type test. The European Tour features a new tournament in Australia - the Vic Open. This is a tournament whose profile has grown astronomically quickly, featuring dual tournaments for men and women this week. Intro: 00:00; Reader Reviews: 03:47; Last Week De-Brief: 04:47; AT&T Pebble Beach National Start: 18:40; Vic Open Start: 45:31. Both shows this week out on Tuesday. Episode 57 - Another excellent week of golf awaits. The Waste Management Phoenix Open is always a highlight tournament on the PGA Tour, with the biggest attendance, Stadium 16th hole and a superb golf course, which always throws-up exciting finishes on Superbowl Sunday. The field is pretty stacked with Scottsdale resident Jon Rahm the favourite from Thomas, Matsuyama, Schauffele, Woodland, Simpson, Fowler, Finau and a rejuvenated Phil Mickelson. "The Thrill" always likes his time in Arizona. The European Tour steps into Saudi Arabia for a tournament that has split opinion. The Saudi International boasts a top-end, boosted by some considerable appearance money funds. Justin Rose, Dustin Johnson, Bryson DeChambeau, Brooks Koepka, Sergio Garcia and Patrick Reed don't come cheap. And to think a second consecutive win for "The Professor" will but him in control of the season-long Race to Dubai by early February. Intro: 00:00; Reader Reviews: 02:40; Last Week De-Brief: 08:24; Waste Management Phoenix Open Start: 12:40; Saudi International Start: 36:39. Episode 56 - Farmers Insurance Open on the PGA Tour from Torrey Pines. Rose, Woods, Rahm, McIlroy, Day, Spieth, Schauffele, Fowler - it's loaded with top-talent. Over in the Middle East, the Dubai Desert Classic is a mainstay of the European Tour and again features an excellent field. DeChambeau, Fleetwood, Garcia, Stenson, Oosthuizen and Hatton headline in the at the Emirates Golf Club. Jason Day and Hao-Tong Li defend their respective titles, in a week which many call the true start of the golfing year. Intro: 00:00; Last Week De-Brief: 03:56; Farmers Insurance Open Start: 11:09; Dubai Desert Classic Start: 40:53. Episode 55 - We have action from both Tours this week. The European Tour kicks-off it's 2019 action with the Abu Dhabi HSBC Championship, where Tommy Fleetwood goes for a 3-peat. He will have to see off the likes of Brooks Koepka, Dustin Johnson, Henrik Stenson and Thomas Pieters. Over in Palm Springs, California, the Desert Classic features on the PGA Tour. A Pro-Am over 3 different courses, this tournament in the desert always features low scoring. Jon Rahm defends his title, with Justin Rose, Patrick Cantlay, Charles Howell III and last week's runner-up Andrew Putnam all in the field. Intro: 00:00; Sony Open De-Brief: 01:58; Abu Dhabi HSBC Championship Start: 07:29; Desert Classic Start: 37:59. Episode 54 - The Sony Open in Hawaii, is a PGA Tour stalwart tournament. A coastal, Par 70, where scoring over recent years has been low. The first full-field event of 2019, we have a great mix of top names and Tour rank and file players, all looking for a strong week in Honolulu. It's undoubtedly a strong field with Justin Thomas, Jordan Spieth, Bryson DeChambeau, Patrick Reed, Marc Leishman and the very in-form Gary Woodland, all heading the betting markets. With Barry O'Hanrahan 'in the house,' the Golf Betting System podcast team, which also includes Steve Bamford and Paul Williams is complete, for our second podcast of the New Year. Episode 53 - Golf in 2019 on the PGA Tour starts with the traditional winners-only event, the Sentry Tournament of Champions. Played on the Plantation Course, at Kapalua in Hawaii, the event sees a short field of 34 vying for the first title of 2019. The strongest field we can remember for this includes Dustin Johnson, Jon Rahm, Justin Thomas, Brooks Koepka, Rory McIlroy, Jason Day, Bryson DeChambeau, Patrick Reed, Francesco Molinari and Xander Schauffele. Golf Betting System's Steve Bamford and Paul Williams talk you through their thoughts on the 2019 opener. Intro: 00:00; 07:45 Sentry Tournament of Champions Start: 07:45. Episode 52 - Our last podcast of 2018 and the European Tour reaches it's climax with the DP World Tour Championship at the Earth Course in Dubai. No Justin Rose, but Rory McIlroy, Sergio Garcia, Tommy Fleetwood, Jon Rahm, Tyrrell Hatton, Thorbjorn Olesen, Henrik Stenson, Alex Noren and Race to Dubai leader Francesco Molinari are in-attendance. Throw-in American 'studs' Patrick Reed and Xander Schauffele and we are in for a treat. Over in the United States the PGA Tour plays it's last tournament of 2018 - the RSM Classic on the Georgia coast. With the Dunlop Phoenix in Japan and the Australian Open we have plenty to look forward to this week. Thanks to all of you listeners for making the podcast such a success in 2018 and see you again in the opening week of 2019. Intro: 00:00; Listener Reviews: 01:58; DP World Tour Championship Start: 04:53; RSM Classic Start: 35:56.